Topics: Needed Materials, and World Food Stores. On average 2.40 pages are viewed each, by the estimated 35 daily visitors. redthreadsoapco.com Yoga for Congo Women | One hour that will change your life, because ..
ecdcinternational.org Ethiopian Community Development Council, Inc.
Its 2 nameservers are ns571.websitewelcome.com, and ns572.websitewelcome.com. It is hosted by Theplanet.com Internet Services Inc (Texas, Houston,) using Apache web server. 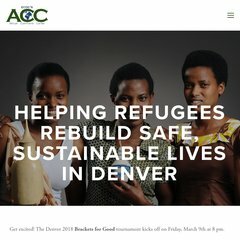 Acc-den.org's server IP number is 74.53.24.108. PING (74.53.24.108) 56(84) bytes of data. A time of 33.3 ms, is recorded in a ping test.